Why Should Anyone be Led by Gareth Southgate? It’s been reported that businesses are clamouring to secure the services of Gareth Southgate to share his views on leadership, with offers of £100k plus for speaking events. 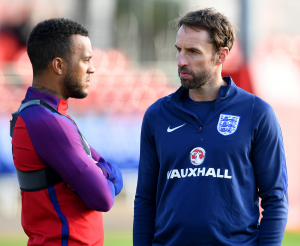 We wrote last month about Gareth Southgate’s ability to hold honest conversations, but what other leadership qualities does he demonstrate, and what can we learn from him? 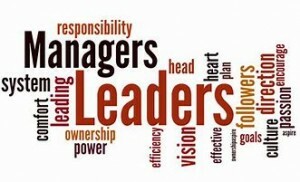 Here at Pro-Development we regularly ask leaders, ‘why should anyone be led by you?’. This can be a scary question, but in the same way that Gareth Southgate needed the England team to follow him, we need our people to follow us. Goffee and Jones carried out extensive research in this area and found that, in addition to vision and energy, leaders need 4 other qualities. What are they, and how do you and Southgate measure up? First, inspirational leaders selectively show their weaknesses. Following the semi-final defeat, Southgate admitted that the England team are not in the top 4-5 in the world yet. He has been very honest about the weaknesses of the team as a whole and the work they still need to do together without singling anyone out for praise or criticism, it’s all about the team. Inspirational leaders dare to be different, Southgate openly hugged his players, demonstrating that he really cares for them as people. He doesn’t stand on the touchline and shout at his players, he speaks quietly and trusts his players to execute his plans, very different from the shouty, aggressive approach of some ‘old style’ football managers. 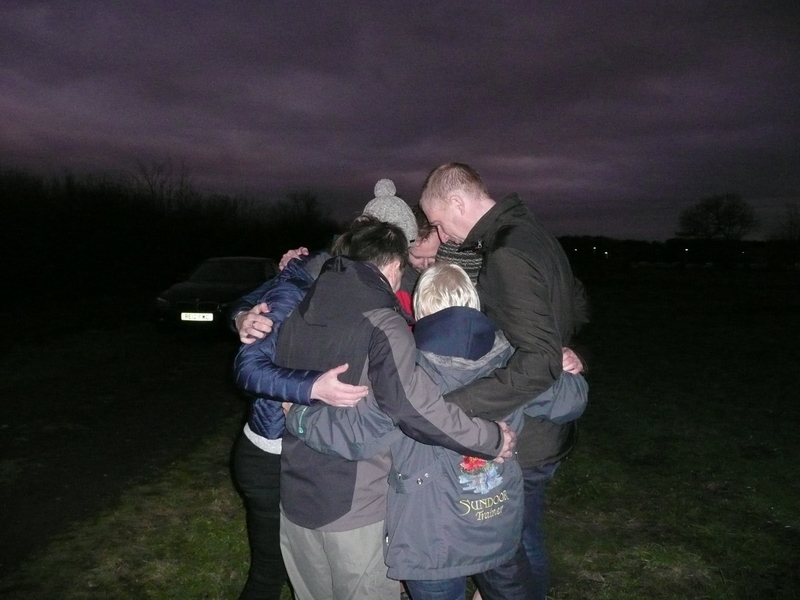 Leaders who are inspirational demonstrate ‘tough empathy’. They empathise and care intensely about their people and the work they do. Southgate released Fabian Delph mid-tournament so that he could attend the birth of his third child. 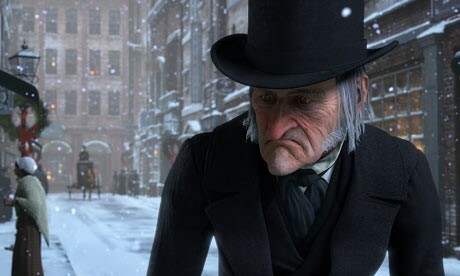 Tough empathy can include having the courage to let people go in a sensitive way, he was not afraid to drop experienced players such as Wayne Rooney. Inspirational leaders also rely heavily on intuition and collect and interpret soft data. Southgate consoled the Colombian player Uribe after his missed penalty. In his team’s moment of triumph, and his personal redemption, Southgate displayed an understanding and empathy that is often lacking in football. To what extent do you selectively show your weaknesses, dare to be different, demonstrate ‘tough empathy’ and use your intuition? If you need help in developing as a leader or manager, our management development programme and coaching will help you to develop and grow your unique abilities as a leader. 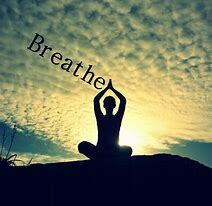 Increasing self-awareness is a very powerful tool. What’s great is that ANYONE can do it at ANYTIME. There is just one key rule, you need to be open to it! 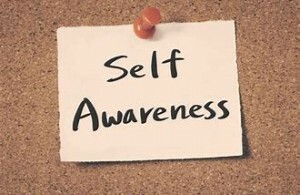 There are many ways that we can increase our self-awareness – we can seek feedback from others either verbally or non-verbally, we can work on being more present and in the moment so we spot what is going on around us and how we are feeling/behaving and from reflecting on situations, conversations and their outcomes. In a recent Chartered Institute of Personal and Development article, there is reference to a large company who has invested in a Leadership Programme to “help managers increase their self-awareness and deliver more effectively” and they are seeing great results. Managers and leaders having great self-awareness is important. How many of you have worked for a manager whose lack of engagement has impacted on the whole teams’ motivation to deliver, or the manager who delivers key business messages starting “this isn’t me saying this, its them” leaving the team disengaged from the content of the message. Managers and Leaders need to have an awareness of their impact on others which in turn impacts on engagement levels and ultimately business results. 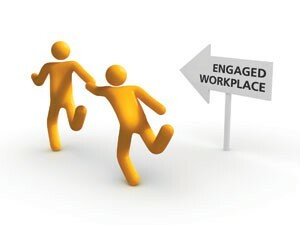 •	How engaged are your managers/leaders? •	How self-aware are your managers/leaders? •	How often do you provide feedback to your managers and leaders? •	Do you your managers and leaders ask for feedback? •	How well do your managers/leaders understand and manage their own emotions? Now reflect and answer the questions on yourself! Pro-development offer programmes and coaching to build self-awareness Click Here to find out more. If you would like further information or to speak to us then call us on 01904 628838. This month our fearless Management Development Leaders got hot under the collar in our cookery extravaganza. 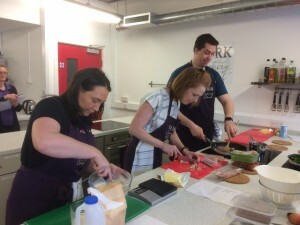 What can you learn about leadership in a kitchen we hear you cry? Well quite a lot as our Management Development delegates will tell you. Having to perform under pressure, in unfamiliar situations, providing direction, clarity and communication can be a regular feature of a leader / manager’s role. In the kitchen we simply re-create the business environment and observe people lead. So, what did the kitchen teach us? •	Celebrate the success and reap the rewards! And reap the rewards we did! Can you handle the heat of leadership? Would you like to understand more about your style and the impact it has on those who you lead? To find out more about our Management Development Programme CLICK HERE or give us a call on 01904 628838 for a chat about the programme and how it can help you and your business. 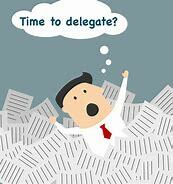 How good are you at delegating? At a recent session we shared some recent research on delegation. In 2016 it was reported that only 30 percent of managers think they can delegate well, and of those, only 1 in 3 were considered to be a good delegator by their team members. This means that only about 1 in 10 managers are good delegators. This statistic didn’t surprise us as it’s one of the most common areas we address in coaching. What did surprise us was other research that found that there are gender differences in the willingness to delegate. Female leaders find it more difficult to delegate than their male colleagues; they have negative associations with delegating and feel greater guilt about delegating than men. As a result, females delegate less than males. However, there is good news. Reframing delegation as a social interactive task reduces negative associations. And we know that great delegation is a fantastic opportunity to work closely with someone to help them to grow and develop in their role, and in turn, this links to increased employee engagement. So, it is a win-win activity. Do your managers need training or coaching on delegating well? If so, you may want to consider our Management Development Programme, more details can be found here. Go on, look at your to do list and think about what you can delegate and what opportunities there are to enable others to shine! Do you spend time working outdoors?